And here’s the kwento bakit ako biglaang na-surgery. Last Saturday, I went to St. Luke’s BGC to have a second opinion because 6 weeks post partum, I was still bleeding. Pineda recommended her doctor so I went to see her. Ang hindi ko lang alam is bakit ba hindi ko na lang hinanap yung original OB ko. 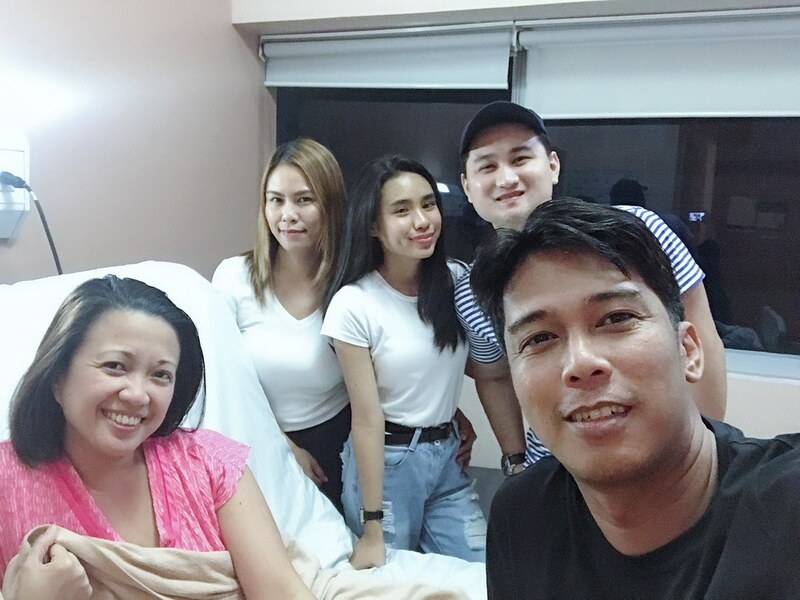 She has a clinic naman in Asian Hospital. Anyway, St. Luke’s BGC was more accessible and convenient for me so keribelles. During the consult, right after I finished answering the OB’s questions, she asked me if nagawan ba ako ng HCG test after the miscarriage. I said no. She asked if nagultrasound ba ako ulit, I said no. It was weird daw because after a pregnancy or a miscarriage, dapat tinetest ang HCG sa blood. The HCG should go down to less than 5 ang level if you are no longer pregnant. Since I was still bleeding, the doctor said itest nga ang HCG. She wants to rule out gestational trophoblastic disease (germ cell tumor). I asked ano ba yung trophoblastic disease. From cancer.org: Gestational trophoblastic disease (GTD) is a group of rare tumors that involve abnormal growth of cells inside a woman’s uterus. GTD does not develop from cells of the uterus like cervical cancer or endometrial (uterine lining) cancer do. Instead, these tumors start in the cells that would normally develop into the placenta during pregnancy. Pwedeng benign, pwedeng malignant which is cancerous. The word cancer kinda stuck sa akin and hindi ko na siya malimutan. Possibly I’m bleeding because may cancer ako?! The OB said baka the lining of my uterus is bleeding so she ordered for a transvaginal ultrasound. She wants to rule that out as well. Now if negative naman both tests, malamang hormones lang. Na-mess up ang hormones ko kay I’m bleeding. I called Alvin right away after my consult while I was waiting in line for the blood test. I told him that there’s a possibility of me having cancer. Nakapila kako ako sa blood test kasi para macheck. Nagworry din sobra si Alvin like me. He was consoling me and telling me that hindi naman siguro cancer yun pero I can hear from his voice na nagaalala talaga siya. Alvin and Anika arrived when I was waiting for my turn for the ultrasound. Ang tagal ko sa hospital na yun that day. I arrived at St. Luke’s at 7:30 am. I saw the doctor at 10:30 am. I went to have my blood test. I was able to do the ultrasound at 2pm na. Ganun ka-haba yung pila. Dun sa ultrasound ako na-stress ng bonggang bongga. While the doctor was doing the Transvaginal ultrasound, na-sense ko na nagwoworry siya. Aligaga. Parang hindi okay yung nakikita niya dun sa screen. And para matakot pa talaga ako ng bongga, she called in another sonologist for a consult. I wanted to cry right then and there. After the ultrasound, she asked me to wait in the lobby. She will call daw my OB. Sinundo ko si Alvin and si Anika dun sa labas to go with me to wait in the lobby. I told Alvin mukhang hindi okay yung ultrasound. Takot na takot na ako at this point. Ang dami ko nang nadadasal na mga novena since that morning. The doctor who did my ultrasound finally went out to meet us. She said that I should go to the OBGyn complex, sa delivery room and my OB will meet me there. Pagdating dun, my OB explained to me that they found a mass in my Fallopian tube. Lumaki yung fallopian tube ko. Also my HCG level is 103. That is a lot greater than 5. Pinatawag na din si Alvin. When the OB was explaining to him, hindi niya masyado naaabsorb. Isa lang tinanong niya muna. “May cancer po ba siya?”. The doctor apologized and said no. It’s not trophoblastic disease otherwise thousands ang value ng HCG ko. Okay finde daw sabi ni Alvin. Nakinig na siya starting then. Narelieve kasi hindi cancer. Ayun na nga. The OB was suggesting to remove my left Fallopian tube. There’s blood from that tube that’s spilling to my abdominal cavity so merong 70 cc na blood dun. Internal bleeding, ganun. I asked, need ba ma-operahan agad. The OB said since I’m not feeling any pain, hindi naman siya emergency. We can monitor and wait if my HCG level will go down. Alvin asked if may gamot, wala daw. I asked if the Fallopian tube will rupture. The OB said she is not sure. Sabi ko sige, wait na lang muna namin my HCG level to go down. Wag bigla biglang hihiwain. The OB instructed that if may maramdaman lang ako na kahit konting pain, I should go back agad to that Delivery Room and they will do the operation immediately. For the meantime, I should have my HCG level tested every 2 days and have transV ultrasound every 2 days too. Magastos amp. It’s expensive ha? That day pa lang parang I spent na almost 9k for all the tests and the doctor’s fee. Anyway, I was okay naman. I was feeling paranoid but nothing was hurting for two days. Nanood pa kami ng movie nina Alvin nung Sunday morning after the mass. However, Sunday night, I was feeling uneasy. Parang may mabigat dun sa left side ko. I slept on it. The next day, I went to work. I had an 8am meeting at one of our projects nung Monday. My boss arrived early so I was able to talk to him and tell him na baka operahan ako. In the middle of our operations meeting, may sumasakit sa akin. I told myself, shetpaks, malamang ito na yun. And so after the meeting, I gathered my supervisors and made bilin na all the work that’s need to be done. Nagshort meeting kami habang hawak hawak ko yung puson ko. Masakit eh. They offered to drive me to St. Luke’s afterwards but sabi ko kaya ko naman. Nasa may Pasig Boulevard lang naman kami so malapit lang. However, when I was there na sa may elevated U-turn sa C5, sumakit na siya ng bongga. Dapat nagpahatid na ako kako. 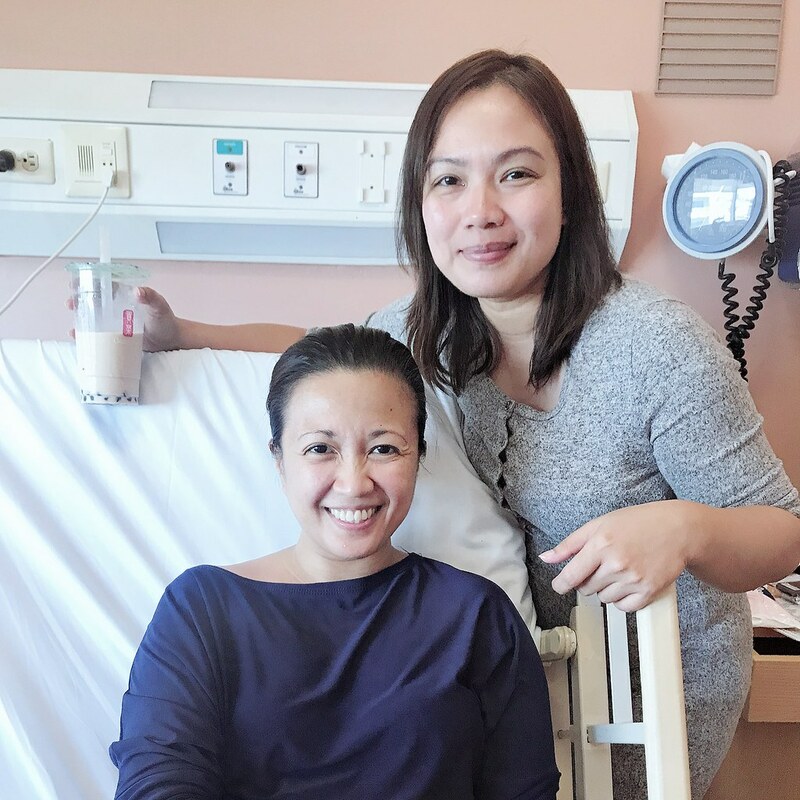 When I arrived in St. Luke’s, I went straight to the Delivery Room. Pinahiga na ako and they did an Internal Exam. May napindot yung resident OB na sobrang sakit akala ko humiwalay yung kaluluwa ko sa laman lupa ko sa sobrang pagjolt ko. Tawagan daw niya agad yung OB ko. After that, panic mode na lahat. Padating na daw my OB. Ooperahan na ako. I’m like, wait lang. Wala pa si Alvin! I called Alvin on my way to the hospital. Dadaan daw muna siya sa house kasi kukuha ng pera. He asked me to get him a Grab car so that hindi na dalawa yung cars na nakapark sa St. Lukes. They were getting blood na from me and prepping me for surgery. When they asked me to wear the hospital gown, that was the time things felt real. I called Wowa to ask her to stay with Anika at home kasi ooperahan na ako. I texted her I love her. I texted Lolo Papa that I’m going into surgery and that I love him too. I messaged Toots, Faye, LT and Russ and told them I love them. WALA PA DIN ASAWA KO! Buti na lang, Abeth and Joan, my friends from the office went to the hospital. Wala ako mapagbibilinan ng things ko kasi wala pa si Alvin. And then, one of my supervisors, Anne called me. ANNE: Ma’am! Ooperahan ka daw! Sina Ma’am Abeth and Joan papunta na daw diyan. ME: Buti tumawag ka. Naiiyak na ako. Wala akong kasama. Nagtetetext na ako sa lahat ng I love you. And then they started wheeling me to the operating room. Hawak hawak ko pa cellphone ko. Kinukuha ko ng Grab si Alvin. OB: Where is your husband? ME: Ito nga po doc eh. Kinukuha ko ng Grab. OB: Ooperahan ka na! Bakit ikaw pa kumukuha ng Grab niya? ME: Hehe. We’re like that. I called Alvin to tell him dadalhin na ako sa Operating Room. I told him I love him. I was telling everybody I love them because hindi mo alam what can go wrong. They’ll be doing a major operation on me. Bibiyakin ako. Hindi mo alam baka mamatay ako or something. In the Operating Room, I held on to my phone as long as I can. Nakakatakot sa loob, I swear. It was so cold! I wanted Alvin. I wanted him to be there with me. I told them that I had Anxiety Disorder kaya baka maganxiety ako. The anesthesiologist gave me something that made me really happy. Hahahaha! Ang sarap. And then the OB told me that she had to do a vertical incision sa akin. Nagulat ako kasi I have na a horizontal bikini cut di ba from my previous CS? Emergency daw kasi. It will be easier for her to cut more pagnagkaron ng problem. Fine. May cross tuloy ako ngayon sa stomach. The operation took 1 and a half hours. Sa recovery room, nagsuka ako ng nagsuka. The anesthesia made me so nauseated! When I was able to move na my legs, pinayagan na ako umakyat sa room. That was when Alvin saw me. I didn’t see him because I kept my eyes closed. Nahihilo ako. From 4pm when we got to the room until around 10pm, suka ako ng suka. Take note, I cannot put up my head. Sumusuka ako ng sideways. Iba effect ng anesthesia sa akin partida hindi general anesthesia ang ginawa because I ate breakfast. The next day, I was okay. However nung pagabi na, sumasakit na ng todo yung incision. That was because the anesthesia was wearing off already. On my second day at the hospital, Wowa brought Anika to see me. Janis and her family went also with merienda. My supervisors visited me too. Nakakatuwa. And then Pineda arrived the next day while I was being discharged. Sinamahan niya ako while Alvin was paying. She was also the one who wheeled me out of the hospital room to the lobby. Dream come true niya yun eh. My health card couldn’t shoulder it because it’s pregnancy related. Nakakaiyak. Nakaka-himatay. Nakakaloka. If you are going to ask me how I am feeling now, well, bad trip. Bad trip talaga ako. Physically, grabe the pain now. It’s 50x more painful than when I gave birth to Anika 9 years ago. The doctor said I was much younger then. Pakshet yan. Ramdam na ramdam ko na matanda na ako. It’s very difficult to move. It hurts so much! I can’t sneeze. I can’t cough. Even to just poop, I feel like I’m giving birth every time. Iiyak ka talaga para jumebs lang. Emotionally, worse. Talagang it’s not enough na makunan ako, ano? Talagang kailangan ko na maramdaman na i-CS ako. I have to go through and feel all the pain a Cesarian operation can give you. And kailangan ko maramdaman yung ganun ka-laking gastos. Okay lang sana kung may baby na lumabas eh. Sulit sana everything. But like I said, wala din naman magagawa. We have to be positive na lang. Maging thankful that I have Anika already. Not all women are blessed to have kids pa. So lucky na ako in that aspect. I am also thankful that I am loved. I am loved by my family, friends and even you guys who I haven’t met yet. I have to be thankful na may pambayad. Masakit man na maglabas ng ganyan ka-laki, at least hindi siya ganun na pinoproblema na need utangin or something. Thankful ako kay Alvin na he was the one who settled everything. Lastly, I know I have to be very thankful that it wasn’t cancer. Dun pa lang, wala na dapat ako ireklamo. Anyway, we are waiting for the results of the biopsy. For the meantime, yun nga ang scientific guess ng doctor ko based sa operation and sa mga nakita niya sa loob. I had an ectopic pregnancy. Nakunan. And then nagbleeding. Meron din daw akong Endometriosis. From the mayoclinic.org – Endometriosis (en-doe-me-tree-O-sis) is an often painful disorder in which tissue that normally lines the inside of your uterus — the endometrium — grows outside your uterus. Endometriosis most commonly involves your ovaries, fallopian tubes and the tissue lining your pelvis. Rarely, endometrial tissue may spread beyond pelvic organs. Makes sense why it’s hard for us to get pregnant. Weird lang din because I almost never have Dysmenorrhea. May mga ganito pa lang sakit! Anak ka ng teteng na yan. Anyway, it’s curable daw and my OB said that she’ll start me with hormones therapy for my Endometriosis. Osha, that’s the kwento bakit ako na-operahan bigla. For the meantime, I’ll be staying here at home while the surgery wounds heal. I learned how to edit videos na so expect more Vlogs to come! Please send your suggestions for the vlog okay? =) Yung mga hindi sana muna gumagalaw masyado kasi baldado pa lola niyo. Lelz. « Friday Kwento + I Have A New Vlog Entry! hugs, Fleur! I pray that everything will be alright for you and your family. 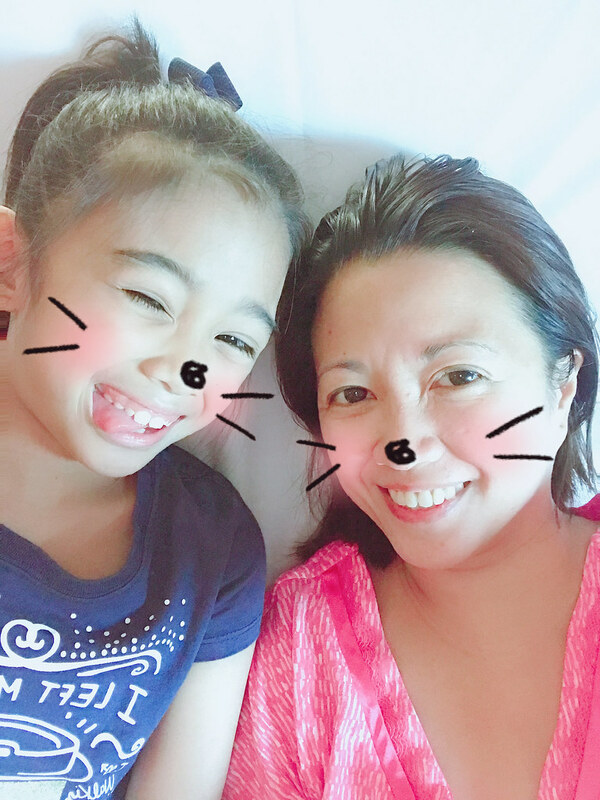 Get well soon mommy fluer. Happy to hear you are okay and happy to learn from your experience. Sa mga tiktok mo lang, aliw na aliw na ako! I don’t know why but while reading naiiyak ako. Ramdam na ramdam ko yun pain, yun fear… :(. Get well soon muther!